Talking GAA – Cats escape the Slaughter! Irish soccer legend Dave Langan joins us on the show this week. He talks about the highs and lows of his career including the fantastic times he wore the green jersey. Irish fans will no doubt be excited about the release of Dave’s book ‘Running Through Walls’. Also joining Dave were Irish fans John from Dublin, and Joe from Limerick. 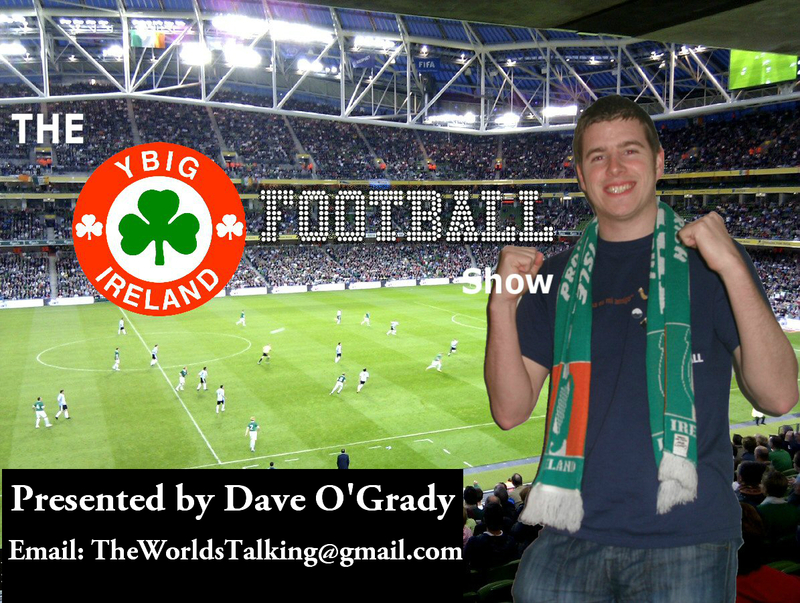 YBIG Football Show with Dave O’Grady. Dave is joined this week by international journalist Philip O’Connor, who works with one of the largest media companies in Europe. He is also famous for bringing GAA to Sweden! Also on the show is Limerick man Joe, who runs the Irish Abroad website. Joe talks about the pressure of having to grow a mustache in a short space of time. Games with Czech, Bosnia and Hungary..
A bus to Poznan, are you serious! Sky News journalist Enda Brady tells the YBIG Footie Show that the Irish players are targetting a quarter-final spot as a minimum at next summer’s Euro 2012 finals and they are relishing Friday’s draw in Kiev. Enda was the special guest on the YBIG Footie Show this week. There were two Irish fans also making their debuts on the show. Thomas from Cork and Conor from Armagh, who is currently living in Leeds. Barry Orr from Betfair.com also joined Dave on the show this week. Trap signs a new contract, but what do we think about the criticism of his style of play. The lads also mull over their favourable Euro 2012 draw and assess Ireland’s chances of making th quarter finals. New additions to the Irish squad for Euro 2012? The World Cup Qualifier draw, how difficult will it be? The YBIG Footie Show is by the fans for the fans.